As soon as the stove is switched on the combustion blower that ensures sufficient oxygen supply to the combustion chamber starts running and fuel is pumped into the combustion chamber. The amount of fuel is not measured. Also the flow plug that is needed for pre-heating to ignite the fuel starts. The temperature in the ignition chamber is measured continuously. After the temperature is high enough the glow plug will continue to glow for a few minutes to ensure that the stove is properly burning, after that it will be switched off. If the required temperature is not reached within about 5 minutes the stove starts its shutdown cycle. No more than two startup attempts should be made to start the stove, otherwise too much fuel may be pumped into the combustion chamber, which can be dangerous. When the stove is switched off the fuel pump is switched off immediately. The combustion blower continues to run in order to cool the stove down and to clean it. After the temperature has decreased below a threshold level the blower will continue to run at a lower speed for about 10 minutes for further cleaning. As a consequence we ran into a number of issues. Cause/remedy: we had this issue at 2000 m altitude, probably because the oxygen supply is too low. We solved it by turning the trimmer for the pump rate (R13) as low as possible (counterclockwise), lower than specified in the service manual. Cause/remedy: the aluminum burner heat shield below the combustion chamber is not fixed tight enough, possibly by vibration during driving. We solved it by tightening the two nuts fixing the shield. 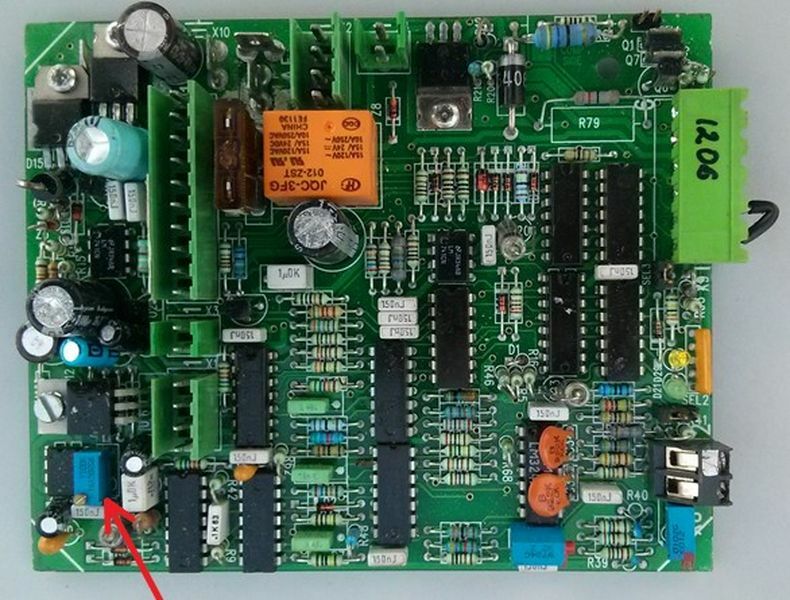 Cause/remedy 4: battery voltage is too low: the 11 V as specified by Wallas is incorrect, you should target at 14 V This is the most important reason for failure. We tried to overcome this by switching off all other electricity consumers (lamps and fridge) and also by running the car engine while starting. 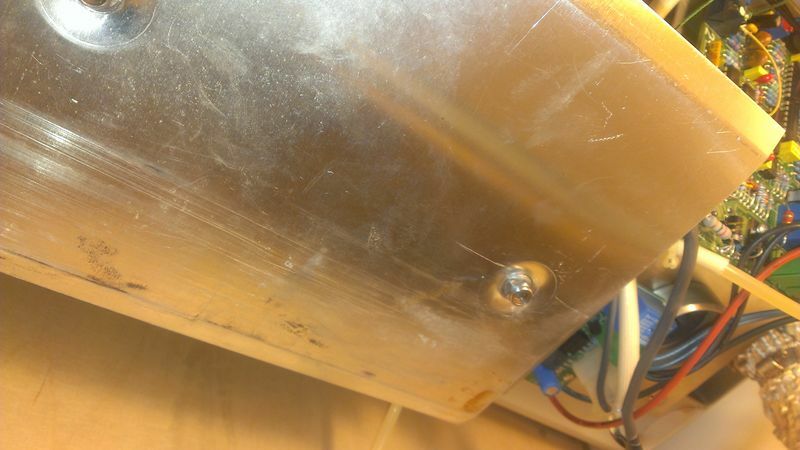 We heard later from other Wallas users that they installed an additional device that keeps the glow voltage at 14 V independent of the battery voltage. Printed Circuit Board Wallas 95. 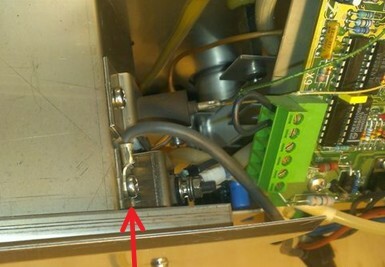 The red arrow points to the pump rate trimmer. Glow plug connections. Make sure that both leads are clean and securely tightened. Heat shield. Make sure that nuts are properly fixed.